The power of radio lies in its ability to affect how the listener feels. 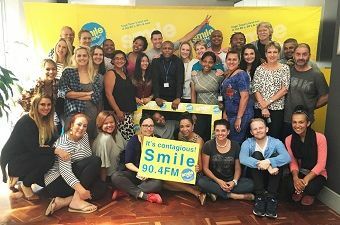 Smile 90.4FM was created with the deliberate intention of putting smiles on the faces of the people of the Mother City. The notion of highlighting news that is overtly positive and delivering it with empathy, remains alien in mainstream radio circles. And tampering with the definition of what is news, is tantamount to letting your freak flag fly high. We are supposed to believe that keeping up with the news is important and of value, yet there is no evidence to support the rationale that placing the worst of humanity as item number one in a news bulletin, has changed the world for the better. On the contrary, it is becoming widely accepted these days that the news contributes significantly to increased levels of anxiety and depression. Presenting information that generates fear and worry without balancing context, or suggesting solutions, cannot be morally justified. Yet, focusing on news that comes from the more admirable side of humanity is considered soft news or not news at all. Convincing news people that they might be clinging to a relic of a dead era is not an easy job, but it is a necessary one. A decision to do just that was taken at Smile 90.4FM and the news product was changed. The positioning line ‘Amplifying the good news in the Mother City’ was introduced to clearly convey the core message of the Smile news philosophy. The decision to innovate was not taken lightly. A great deal of thought went into understanding the psychology of audio messaging and the effects excessive negative information has on evolving multi-cultural communities in transforming markets. Headlines that create anxiety diminish capacity for transformation. 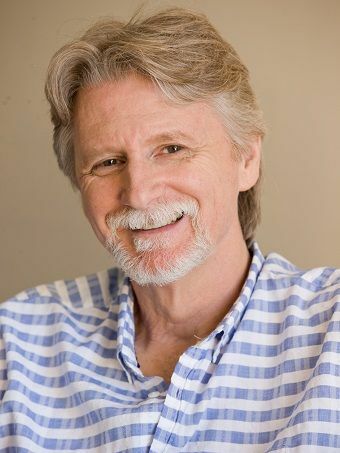 Stories that inspire and create a feeling of awe, gratitude and optimism make people open to sharing, caring and connecting. Listeners come to Smile 90.4FM specifically for the way it makes them feel. There is no justification for our news not adhering to the same feelgood and inspirational goals as the rest of our programming content – as long as it is factually accurate, topical and relevant. Today, 12 March The Smile Good News Network comes into being. It will carry the station’s best positive news stories and the latest trending news. Smile 90.4FM is still a baby in the Cape Town radio market. We turn just five years old on 25 March. We’ve been blessed with steady growth over the years. Our listenership currently stands at 169,000 upper LSM, sandwich generation influencers. Over the last twelve months our listener number has grown by a healthy 36%. (BRC Ram February 2018). While it cannot be stated with certainty that amplifying the good news in the Mother City has driven our growth, the differentiation of our news product certainly offers our listeners a more optimistic, solutions driven and humane perspective on life. Please join us on 90.4FM if you are in Cape Town or stream us live on www.smile904.fm. There’s always a reason to SMILE!